Follow up to the casting news from earlier, Soul Culture has images up from the upcoming Batman Year One animated film. Take a look and hold onto your mind. So Batman Year One is going to be another of DC/Warner Bros’ extremely awesome animated films. That’s just the start of the good news. Because Bruce Timm (who designed Batman: The Animated Series) is executive producer. Yes indeed. That, to me, really sums up the state of these DC DVD animated films. They will stun people with how good they are. I myself was stunned, and I do watch a ton of cartoons. There is no overstating the quality of these flicks. Can’t wait to see Year One. The reviewers at Geek Syndicate got a look at the new direct-to-DVD animated feature from DC/Warner Bros, Green Lantern: Emerald Knights. I can’t wait to see it, since it is sure to be good. This whole line of animated films has just been dynamite. 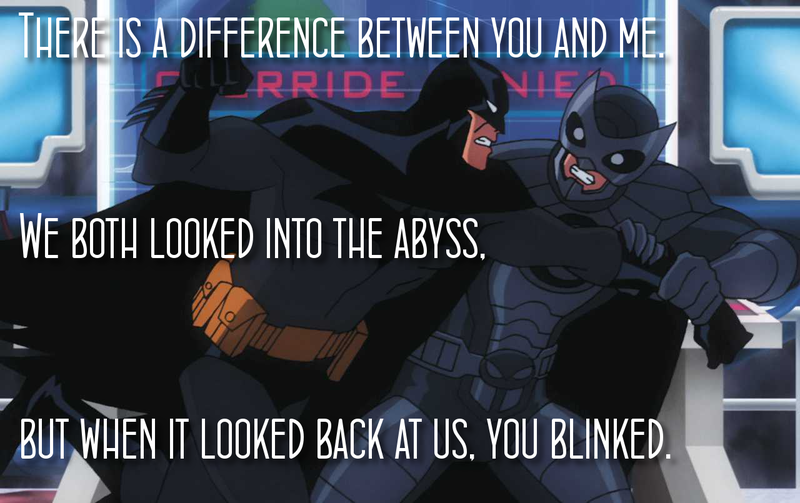 Batman: Under the Red Hood is, in my opinion, the best Batman film ever made. The Superman/Batman films Apocolypse and Public Enemies were outstanding, as was the first GL film First Flight. And man, the most recent one, Power of Shazam, was just astonishingly good. It was an anthology of shorts, just as this new Emerald Knights is, but while the latest covers just GLs, Power of Shazam had Jonah Hex, Spectre, and Green Arrow in addition to Superman and Captain Marvel. A great series, and I can’t wait for more.